According to the National Statistics Institute of Spain, the expat community is currently made up of over 4,426,000 foreign residents out of the total population of more than 46,423,000. As Spain slowly emerges from the economic crisis, this expat population is increasing with more and more foreign residents moving specifically to the 2 largest cities, Madrid and Barcelona. Know the Cost of Living: In Madrid, per person and including all costs of living (rent, bills, food and extra expenses), you can expect from between 800 – 1000 € for the bare necessities in Madrid’s city center for a student life to over 4000 € for a luxury lifestyle. Compare your monthly budget to these estimations, and visualize right now the lifestyle you can afford. Also we recommend using www.expatistan.com to compare the cost of living levels of your current city to that of Madrid. For more information visit: http://moving2madrid.com/cost-of-living/. Be aware of the conditions of Purchasing Property: Do your research. 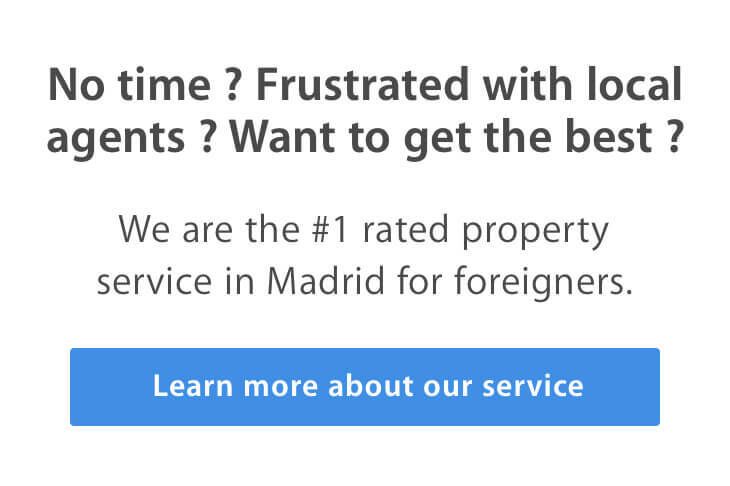 Buying property in Spain is not like buying in your home country. Know what the mortgage rates are for Expats, what you will have to pay in taxes and fees, what the legal limits are, and what the buying process is like. Do your due diligence of legal, architectural and financial checks. Also, always ask for the help of a professional. For more information on buying property in Spain visit: http://moving2madrid.com/process-buy-apartment/. Learn at least basic Spanish: When in our own countries, it is easy to take communication for granted. Be prepared by knowing basic greetings, and standard phrases (where is.., how much is…, please, thank you, etc). Sure, in Puerta del Sol you will be able to navigate your way in English because it is a tourist location. However, it isn’t until you are living in a less central neighborhood that you will be pulling your hair out at the local grocery store because you don’t know the word for lettuce and you can’t look it up because you don’t have your internet on your smartphone yet. Do take advantage of the opportunity to speak a foreign language and push yourself. Write down new words you learn and practice using them over and over again. Take it one step at a time and be patient even when the locals do not show you the same courtesy. Remember these are learning experiences that will be foundations on your journey to being a true expat. Know the time schedule: The Spanish time schedule is different than that of the USA and most European countries. Most businesses are open at 10 am and close at 9pm, but also close from 2pm – 5pm for the siesta. Weekends vary. Shops are opened on Saturdays, but many services are closed. For example, as home hunters we get requests to see apartments on the weekend. However, in Madrid we find that most agents are not reachable on the weekend so it is difficult to optimize apartment options on a Saturday or Sunday. As for mealtimes, Breakfast is usually between 730-930, Midmorning Snack 11am, Lunch from 2-4, Afternoon Snack between 530 and 6pm, and Dinner from 9-11. If you are going out for dinner, most establishments will not seat you before 830pm unless you are in tourist areas. Moving to Madrid can be an exciting yet daunting transition. Your new life awaits! But, for those of us who have been through this, we know all too well that the hardest part of the journey is the preparation before. That said, it is important to do your research before you relocate, so that your transition a La vida Madrileña goes much smoother. Good Luck.